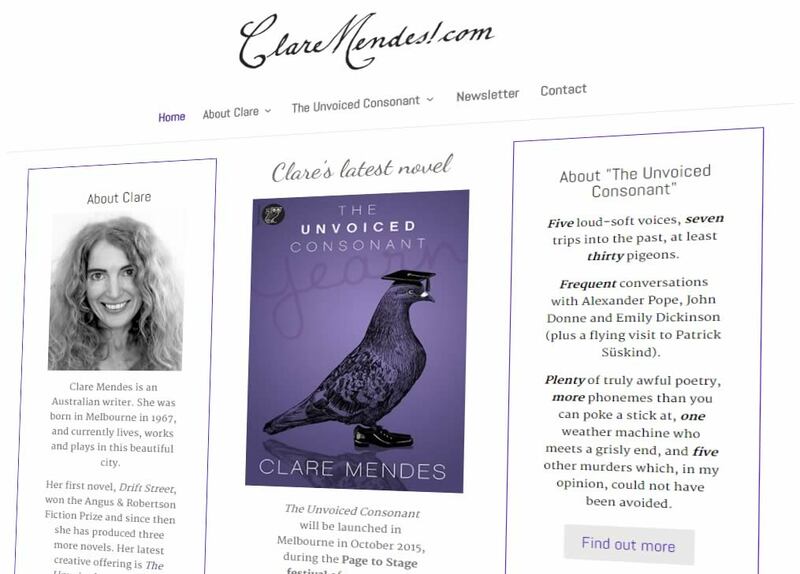 Clare Mendes is an Australian novelist, playwright, and author. Her novels include Drift Street and The Curtain Raiser. 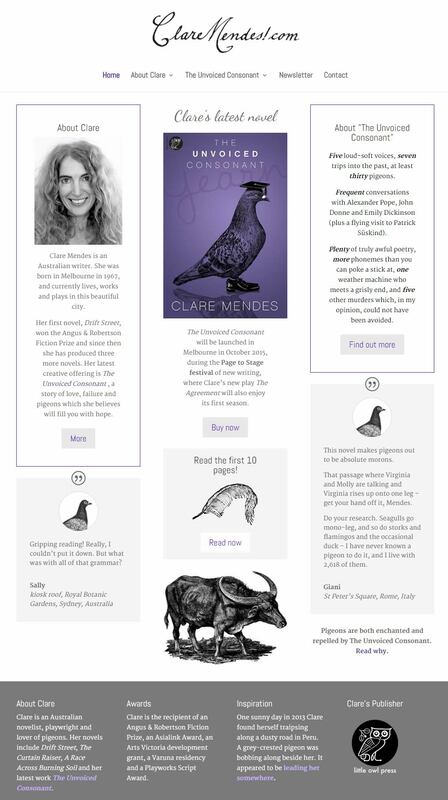 Clare is the recipient of an Angus & Robertson Fiction Prize, an Asialink Award, a Varuna writing residency, several Arts Victoria grants and a Playworks Script Award. In 2000 she was awarded Life Membership of the Fellowship of Australian Writers for her contribution to Australian writing. To further promote her career and launch her latest book, “The Unvoiced Consonant”, she got in touch with Nectarine. Bek designed a gorgeous book cover, and Minty created an elegant, responsive website that matches the style and tone of her new book.